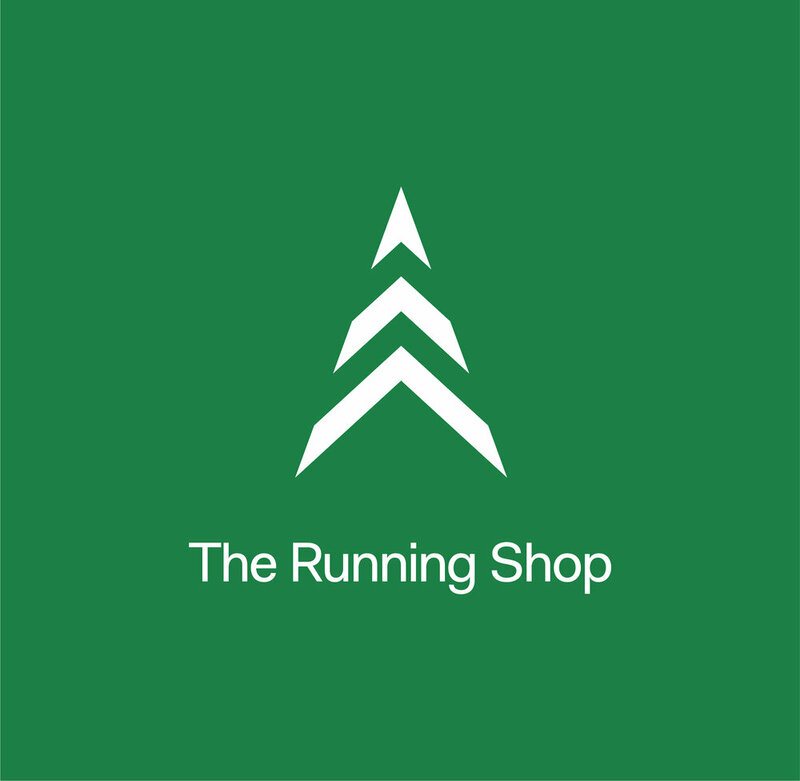 The Running Shop is a privately owned, brick and mortar retail store in Morgan Hill, CA. The owner is former military and an avid distance runner who wanted to appeal to the serious athlete, but also to the stay at home mothers in his retail demographic. 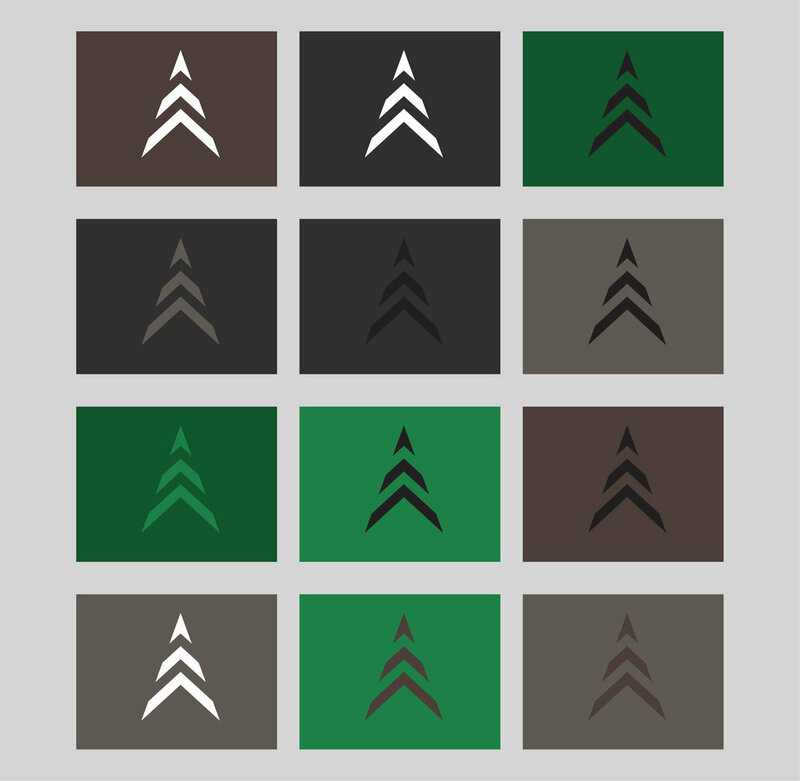 Ethera was brought on while the store was being built and asked to weigh in on retail design, the shopping experience and to create everything a small business would need to run effectively. 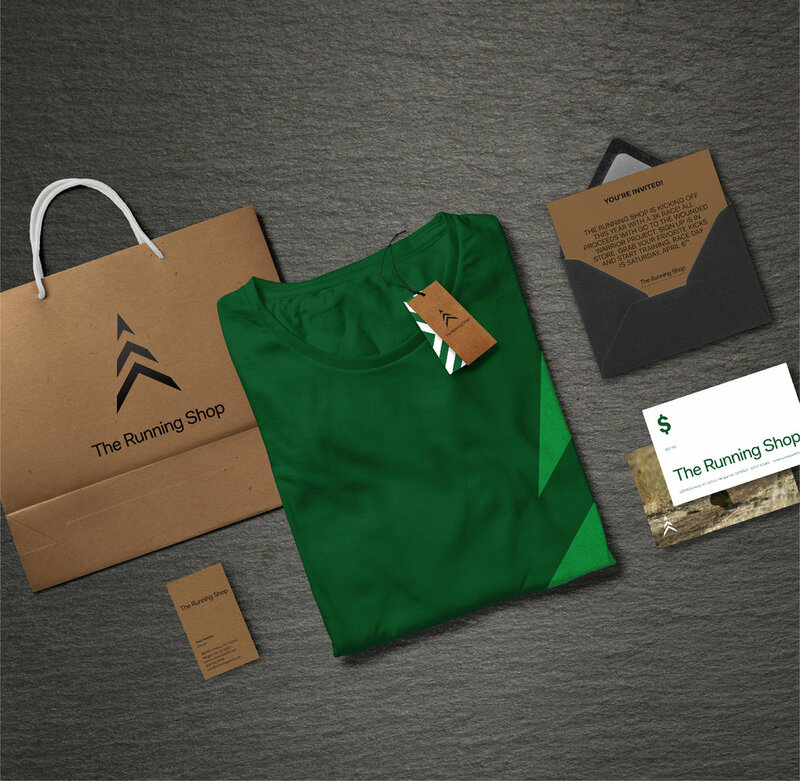 The Running Shop required a brand identity that would stay true to the owner’s sensibilities and values, while making the space appealing to a high-end, female demographic. 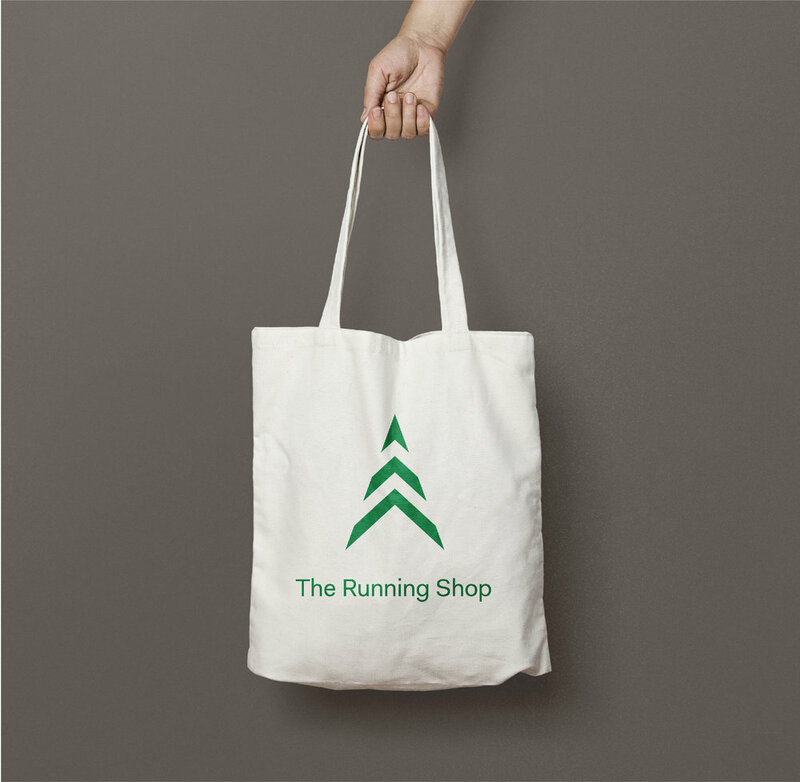 A core value of the running shop was to connect back to nature and get people outside and unplugged. To that end, Ethera used a color palate and graphic elements that reflected the outdoors and the owner’s military background while appealing to both masculine and feminine sensibilities. The interior design echoed this connection by including wooden benches with industrial metal details. The overall store look and feel was natural with a considered design to achieve a boutique feel. 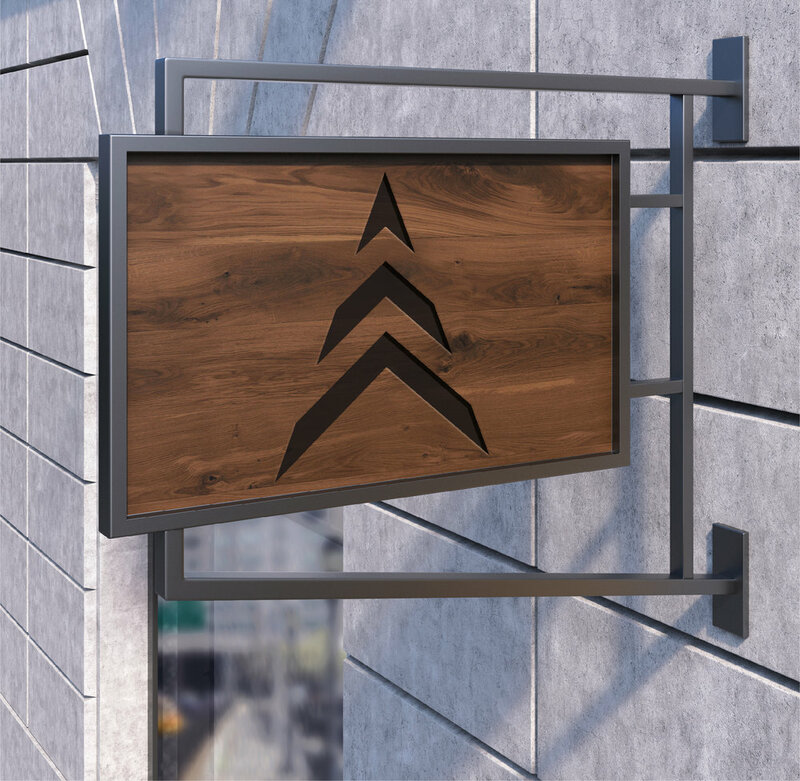 Building community was a core value of The Running Shop, so as a core design element, Ethera added an actual tree, visible through the window of the store, that ran from the floor through the ceiling. This unique feature acted as a focal point where the running club would gather before their weekly training runs and where individuals would display their running medals.